KARACHI (92 News) – Pakistan People’s Party chairman Bilawal Bhutto Zardari chaired an important meeting of the party workers in Bilawal House on Saturday. Provincial Health Minister Jam Mehtab briefed the participants about water and power situation and the deaths occurred due to scorching heatwave in Karachi. Sindh CM Qaim Ali Shah informed the participants about local bodies elections. PPP chairman directed party workers for elections preparations. 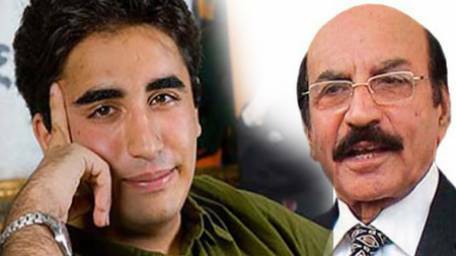 Earlier, in a a telephonic conversation, the PPP chairman Bilawal Bhutto Zardari asked Sindh Chief Minister Syed Qaim Ali Shah to submit report regarding the deaths occurred due to heatwave and law and order situation in Karachi. Bilawal Bhutto Zardari directed the Sindh CM to cancel the leaves of Sindh Home Minister. Pakistan People’s Party chairman Bilawal Bhutto Zardari will visit Jinnah Hospital today.